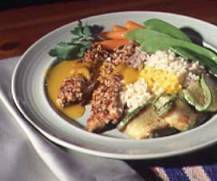 Restaurant Chicken Recipes make for delicious and nutritious meals. Chicken became a favorite meal in the U.S. as people settled into farming and raising their own meats. And maybe because of our current circumstances, Americans are enjoying thrifty, versatile and tasty chicken more than ever before. The restaurant recipes on my website are a reflection of the fact that "American cuisine" is really both regionally and internationally diverse. Eating is simply more enjoyable today than ever before. I think Chicken Kiev is a perfect example of French culinary genius - simple but elegant. This chicken entree makes its own sauce! Preparation time: 45 minutes. Serves 4. This chicken recipe features a breast of chicken sautéed with mushrooms and zucchini in a garlic cream sauce with fettuccine pasta and topped with Parmesan cheese! YUMMY! Preparation time: about 30 minutes. Recipe is for 2 servings. Restaurant guests really love this chicken with brandy cream sauce recipe. Maybe it's the brandy, but I really think it is the combination of ingredients that make this restaurant recipe a winner. Preparation time: 20 minutes. Serves 6. One taste of this delectable chicken rice skillet recipe, another real restaurant recipe, and your family will go wild! Preparation time: 20 minutes. Serves 4. Rice, potatoes or pasta are delicious with this restaurant chicken recipe. And consider serving one of the fabulous salads on the website. Preparation time: 10-15 minutes. Serves 2. This restaurant recipe uses half chickens so you have both light (breast, wing) and dark meat (drumstick, thigh). This is a favorite restaurant recipe with many of my guests. Preparation time: about 1 1/2 hours. Serves 4. The lemon butter recipe is included, of course. Preparation time: 25 minutes. Serves 2. Chicken Stir Fry Three Different Ways! That’s right! This is actually four for free! The basic stir fry and then a Chicken Stir Fry with a delicious Sweet and Sour Sauce, a Chicken Stir Fry with a Spicy Ginger Sauce and a Chicken Stir Fry with a Coconut Sauce! Enjoy all these restaurant recipes. Preparation time: about 40 minutes for each. Serves 4.
Who doesn't love Fried Chicken? Everyone I know loves it. 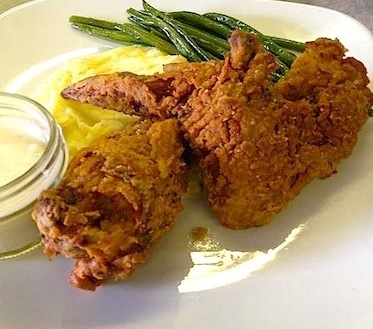 This is the Fried Chicken Recipe I have used for many years. It is virtually foolproof. Preparation time: 15 minutes. Serves 4-6. This Easy Chicken Parmesan Recipe is really delicious with either my restaurant marinara sauce recipe or my garlic cream sauce. Preparation time: 12-15 minutes (not including the sauce). Serves 4. 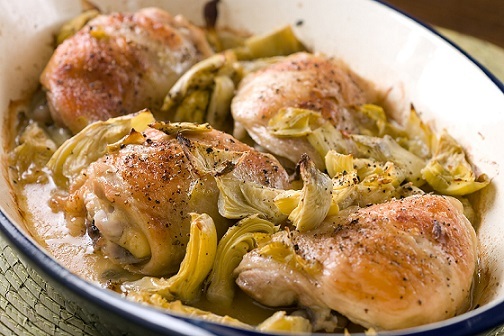 This baked chicken restaurant recipe will be one you use often. It is easy but the tender, moist results are absolutely delicious. Preparation time: 20 minutes. Serves 4. This particular recipe alone is responsible for substantially building the restaurant's lunch traffic! They always sell out! Preparation time: 20 minutes. 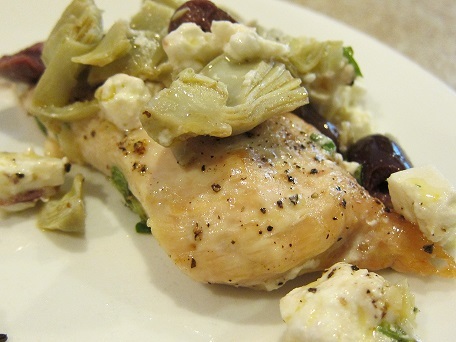 This restaurant chicken recipe makes approximately 8 servings if used as a sandwich or a salad. For appetizers… much more. 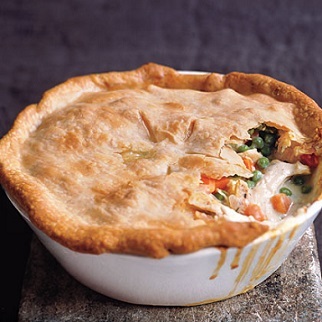 Or Turkey Pot Pie. Comfort Food! Preparation time: 45 minutes. Serves 6-8 depending on desired portion size. Great chicken recipes ...one and all, but a couple of reminders when handling and cooking chicken. When you purchase fresh chicken get it into your 40 degree refrigerator quickly. Cook it within two days. If frozen and kept that way, it will be safe a very long time. Do NOT cook frozen chicken in a microwave or in a slow cooker. Frozen chicken can be cooked in the oven or on the stove but it will take much longer. There are three ways to defrost chicken: in the refrigerator, in cold water and in the microwave. NEVER defrost chicken on the counter or in other locations. Chicken may be marinated in the refrigerator up to 2 days. Boil used marinade before brushing on cooked chicken and then get rid of it. NEVER brown or partially cook chicken to refrigerate and finish cooking later. Bacteria that may be present wouldn't have been destroyed. ALWAYS cook chicken to well-done and use a food thermometer. A good food thermometer is your BEST FRIEND. ALWAYS wash kitchen equipment and cutting surfaces (and your hands) after handling chicken to avoid contamination of other foods. At the restaurant we use latex gloves and then trash them. You could do the same. I have great fun cooking and experimenting with basic recipes. One of the fun ways to experiment is with a variety of sauces and salsas. Thank you very much for "finding" the website and these restaurant chicken recipes. You'll be pleased with the results. Check back often ...additions made frequently! Please tell others who like to cook with confidence and style about the website and real restaurant recipes. Enjoy your real restaurant recipes and those you share them with! "If God grants me longer life, I will see to it that no peasant in my kingdom will lack the means to have a chicken in the pot every Sunday."